This is free preview from RGG tutorial on Lifestyle Photography with Dixie Dixon & Pratik Naik where they explore the world of Swimwear, Lingerie, Editorial Fashion, and Commercial Photography. 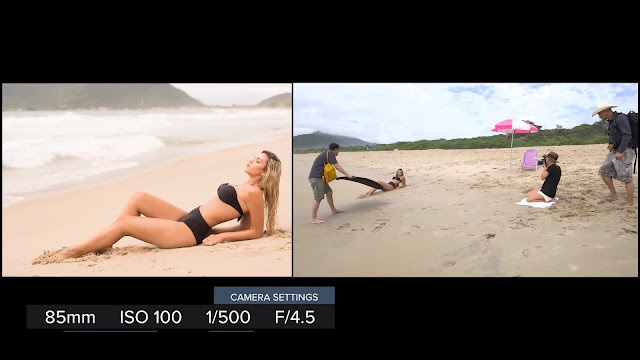 In this video Dixie only use natural light or sometimes a reflector to get a wet look on the beach with an small equipment. She only uses a Nikon 85mm f/1.4 to get this different look that we love. Dixie Dixon is a Texas born and bred commercial fashion photographer. Just a few years out of college, this 20-something’s career is unfolding one adventure after another.